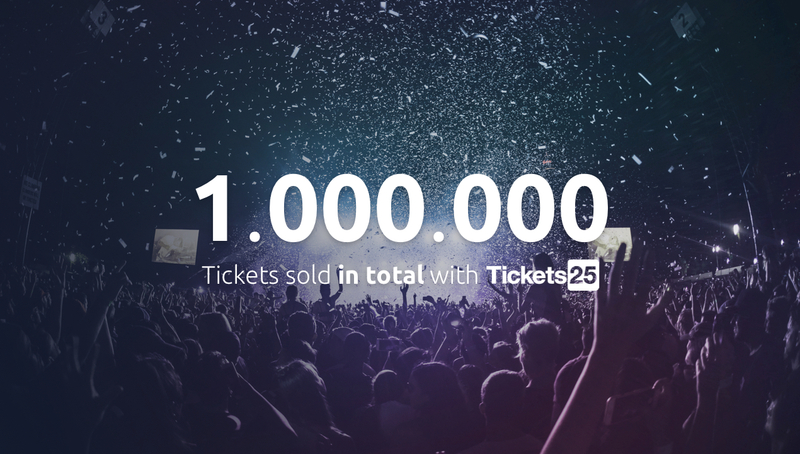 Ticketing Platform Tickets25 has sold 1.000.000 tickets since the launch in 2016. Museums, festivals, clubs and conferences are using Tickets25 to power their ticket sales. This important milestone is worth a shout-out to our amazing team of developers for their hard work. “We developed Tickets25 for the specific needs of one of our clients who required a powerful and flexible ticketing system for pre-defined time slots. Since then the development of the application has centred around the needs of all our clients for both one-time events or permanent set-ups. We are very proud of everything we accomplished so far, this is made especially sweet by hitting the one million mark early in 2019!” Gijs Martens, CEO. With Tickets25 organisations can sell any kind of ticket. The application is specially designed to make ticket sales easier, better, more efficient, and handle large volumes and peak times. At €0,27 per ticket, Tickets25 is one of the cheapest ticketing solutions in the market. It is easy to use and allows you to create your own ticketing shop, design, set variable ticket prices, sell tickets for specific time slots, set a maximum number of visitors, and much more. In 2018 we reached a few amazing milestones; we launched Tickets25 on the Salesforce AppExchange and we built the integration with TicketSwap to make sure that consumers can easily and securely buy and sell their tickets. But the most exciting launch was the possibility to send tickets via Facebook Messenger. By the Creek was the first Dutch festival to use this feature and since then thousands of festival-goers use this option. “More and more companies are communicating with their customers through social direct messaging, as these are the most-used channels by consumers these days. It makes sense for festivals to send their tickets via direct message. This level of customer convenience is becoming the rule instead of the exception” Gijs Martens, CEO.